2019 Theme: Passport to Adventure! Required paper can be submitted at the monthly district Roundtable -- Please see Michele Quintal, the registrar from January through May; Electronic copies will not be accepted as a paper copy is required. Forms can also be submitted at any of the trainings (tba). Submission of Med Form A & B is required prior to the start of camp, for youth to attend; Registration is considered "complete" with payment and submission of completed/signed forms. Submission of Med Form A & B, YPT and other requested certifications is required for all Full Week Adult Volunteers. Incoming Wolf through Arrow of Light Cubs -- with a Family Adult needed just one day, but "travel" with your cub scout all week and have fun exploring! Discount will be applied for those who have "all week" family adult presence while at camp. This group of cubs are entering 2nd grade through 5th grade this September. Pre-School Siblings, Incoming Lion and Tiger Cubs -- Family Adult presence at camp is required for each day of attendance. This group is potty-trained. Incoming Lions will be entering Kindergarten in September while Incoming Tigers will be starting 1st grade. Youth Aides -- Incoming 6th Graders through 17 years old -- Earn community service leadership hours, hone your communication / leadership / people skills while either traveling with a den, or helping to run a station! During the registration process, you are required to select the specific day(s) the youth aide is volunteering. Adults -- Parents/Guardians, College Age Siblings, Aunts & Uncles, Grandparents. Camp Tomahawk is a 100% volunteer run camp. Adults are station staff, summer den leaders, and daily den helpers. Families must provide at least one adult one day. During the registration process, you are required to select the specific day(s) the family adult is volunteering. Come for the whole week and have fun with your cub scout! Late registrations are not guaranteed to be placed with their usual Cub Scout Den or Pack, nor receive an accurate t-shirt size or quantity, even if purchasing additional t-shirts. Family Oriented: Camp Tomahawk continues to welcome boys and girls. Girls will be again be placed in their own age-appropriate dens and go to all stations for their Cub Scout rank. Please make sure you also choose the correct number/type of adults once you get to the "pull down number" page. For questions and/or assistance, please contact mkmvert@gmail.com. Enhanced Program for incoming Kindergarteners and First Graders (as of the Fall): These campers will participate in some stations, but will also have their own integrated program, appropriate for their age. *Needs to be potty trained. Packs: For every 6 registered Cubs and/or non-BSA siblings, there must be at least ONE full week adult volunteer (to be the main Den Parent Leader for the week) from your pack. What additional information about Camp Tomahawk? Registration is not considered complete unless all required documents have been submitted prior to camp. 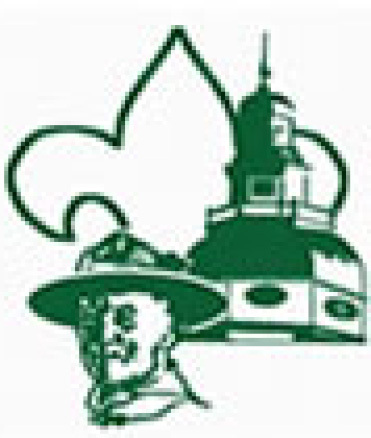 After 4/16/2019 a fee of $50.00 will apply to all Cub Scout (2-5 Gr) w/Adult 1-4 Day Volunteer Registrants. After 4/16/2019 a fee of $50.00 will apply to all Cub Scout (2-5 Gr) w/Adult All Week Volunteer Registrants.